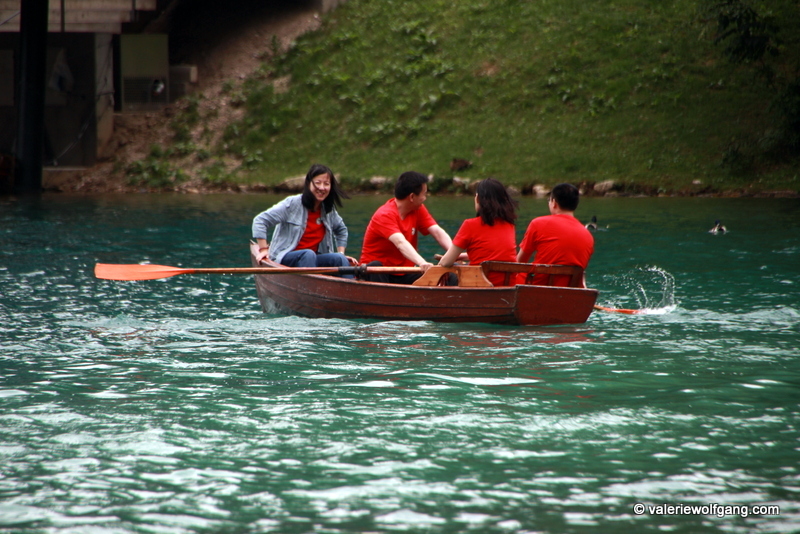 Today was the Dragon Boat Festival (click here to read more about it) in Bled, Slovenia (program – in Slovene). It was very nice and friendly atmosphere, just right to chat and do some networking. There was also a presentation of Chinese poetry and music and calligraphic workshops (I had my name written, of course! 🙂 ). The teams were competing with boats and at the end there was also Chinese food, which was very tasteful. It wasn’t too hot (like previous days) so it was great to sit on the grass and have a picnic. Here are some snapshots I took couple of hours ago.